If you’re looking for affordable contact lenses you’ve come to the right place. As anyone who wears contacts will know, they can be exorbitantly expensive (At least with glasses you only have to pay for them once.) But that’s the problem with contact lenses, you cannot wear them forever. Contacts have to be replaced, otherwise you risk damaging your eyes, and nothing is more important than the health of your eyes. We are one of the biggest online suppliers of discount contact lenses in the UK and worldwide. Our online store sells products manufactured by the world’s leading eye care specialists including Johnson and Johnson, Coopervision, Bausch & Lomb, and Alcon. 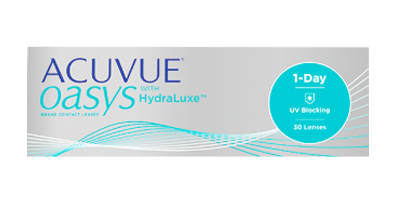 Not only that we also stock brands like Acuvue Moist, Air Optix, Avaira, Biofinity, Biomedics, Focus Dailies, Frequency, Fresh Look, Proclear, Purevision, and SoftLens. Plus we hold all of the major high street brands from Boots, Specsavers and Vision Express (These are basically branded lenses which have been re-packaged.) In addition to this, we keep an extensive range of solutions and eye drops such as Hycosan, Blink Eye Drops and many more. Why should you choose Lensite? We’ve been in the contact lens business for more than 10 years now. We’re dependable, affordable and trustworthy. With us you can choose the best disposable lenses whether they be monthly, two weekly or daily lenses and order your contacts online with confidence. Which is why some of our customers have been buying from us for almost as long as we’ve been in business. This is one of the only places in the world where you are guaranteed to find the top brands of lenses, cheaper than you would anywhere else – and that’s a claim we’re more than willing to back up. Aren’t you tired of paying through the nose for something which is really a medical necessity? Optometrists know you’re willing to pay any price and want to tie you in to buying from them. You should be able to wear contact lenses as often as you like without having to worry about how expensive they are. Which is why we built this site. But how are we able to supply lenses so cheaply to the public? Surely there must be a catch… There’s no catch at all. The reason why we can do this is because we’re an online store. Yes, unlike your optometrist, we don’t have to pay overheads like rent rates, etc and we pass these savings directly onto you. And because we sell all over the world, we sell huge volumes of lenses per day, which allows us even further discounts. But how much cheaper are we? All together these savings allows us to deliver your contact lenses at 50-70% cheaper than high street prices. And while this sounds too good to be true, we’ve worked in this industry a long time, and believe us, you would be astounded at the size of retail mark ups. Bottom line, you could be saving a lot more on your contact lenses, and that’s the truth! Our checkout process is safe and secure. Your payment is handled by PayPal and transacted on PayPal’s secure servers. Once your order has been placed you will receive an order confirmation and our team will start to process your order. We will follow up with an email once it has been shipped (And we will also send you re-order reminders so you never run out) and 98% of our order orders are shipped on the same day. As anyone who wears spectacles knows, you don’t always want to wear them. And you shouldn’t have to! Whether it’s an important meeting, job interview, date with someone special, or sporting event, sometimes you don’t want the encumbrance or hassle of having to wear glasses. But with our special deals, discounts and savings you won’t have to. This site is going to change your life, and allow you to wear contact lenses as often as you like. 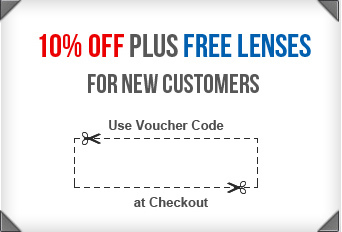 With Lensite it’s easier than ever to buy contact lenses online. And to thank you for visiting us, we’re going to give you a 10% discount off your first order and FREE delivery on all purchases. This way you could potentially save a massive 80% on your order! So if you're looking to buy affordable contact lenses from a trusted and secure online supplier, you're at the right place. If you have any questions, just give a call on Free Phone 0330 088 3133, email us at cs@lensite.co.uk.